Rough Spot Salve – 2.3 oz. Coconut Oil*, Avocado Oil*, Beeswax**, Cocoa Butter*, Tamanu Oil*, & Vitamin E***. Essential Oils: Lavender*, Sandalwood*, & German Chamomile*. 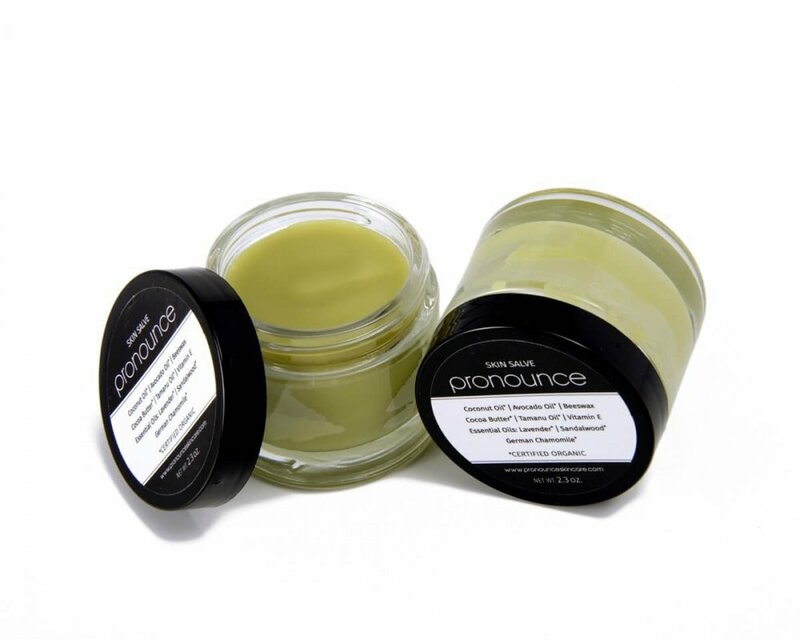 Pronounce Skin Salve is perfect for rough feet, hands, elbows, heels and more. This is a wonderful multi-purpose salve for all those dry, itchy, &/or rough spots ailing you. Two of my favorite ingredients in healing and soothing Pronounce Skin Salve are cocoa butter and tamanu oil. Cocoa butter is one of the most rich, emollient oils available. This makes it an excellent choice for super dry skin. In Pronounce Skin Salve you will actually see small round creamy bubbles of cocoa butter, ready to fill in those dry cracks and crevasses. As well as having anti-inflammatory, antimicrobial, and antibiotic properties, raw, organic, unrefined, and sustainably-sourced tamanu oil is a natural antioxidant. 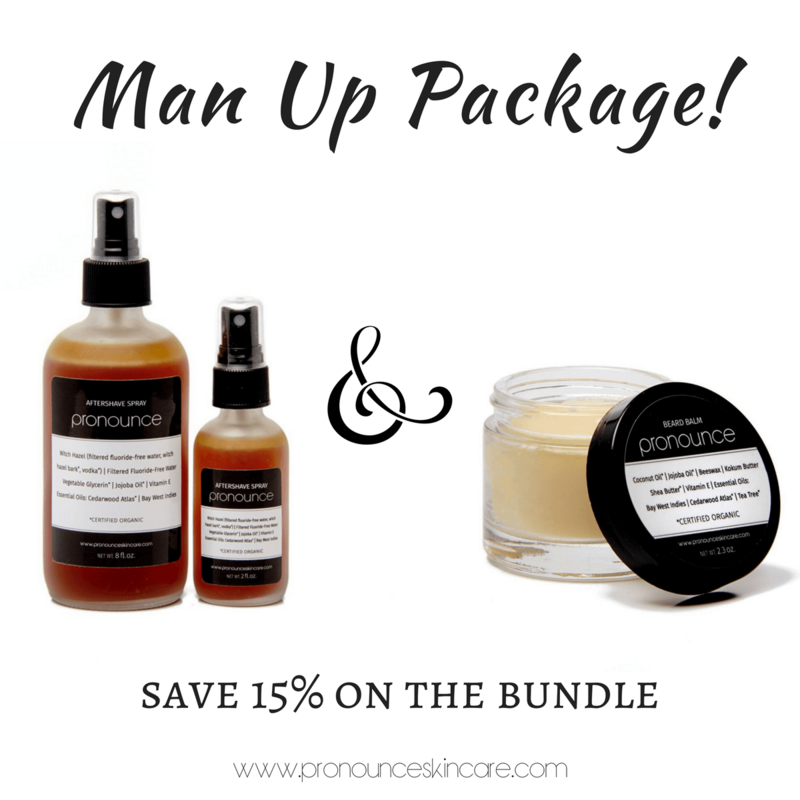 Sounds perfect for restoring any cracked, dry, flaky, itchy skin you have…wouldn’t you say? Looking for overall body moisture? 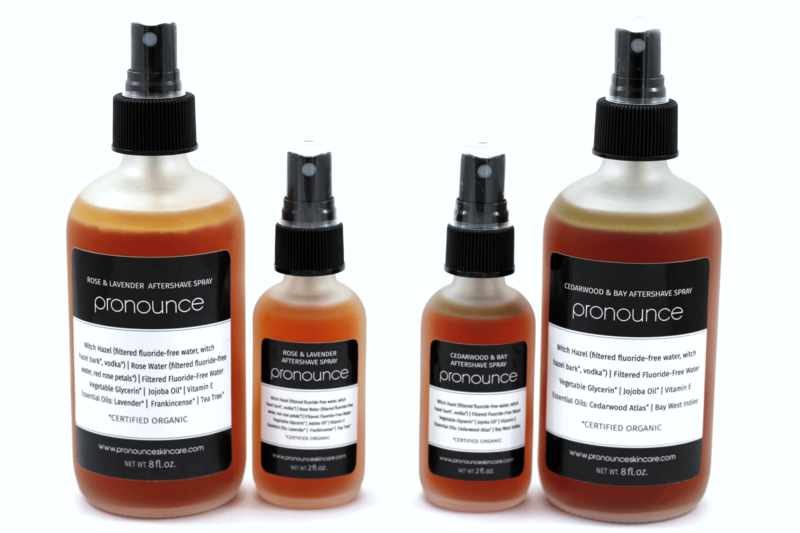 Try Pronounce Skincare’s Lavender-Infused Lotion! The skin salve has a wonderful fragrance – not overpowering, not medicine-y, just natural. In addition, it has removed cracks along with the foot scrub in my bare feet; smoothed out rough elbows, etc.! All in all, a wonderful purchase! I haven’t used this salve for even a week yet, but I’m already in love! Brutal Midwest winter + frequent hand washing with two babies still in diapers and my hands were so dry they hurt some days. 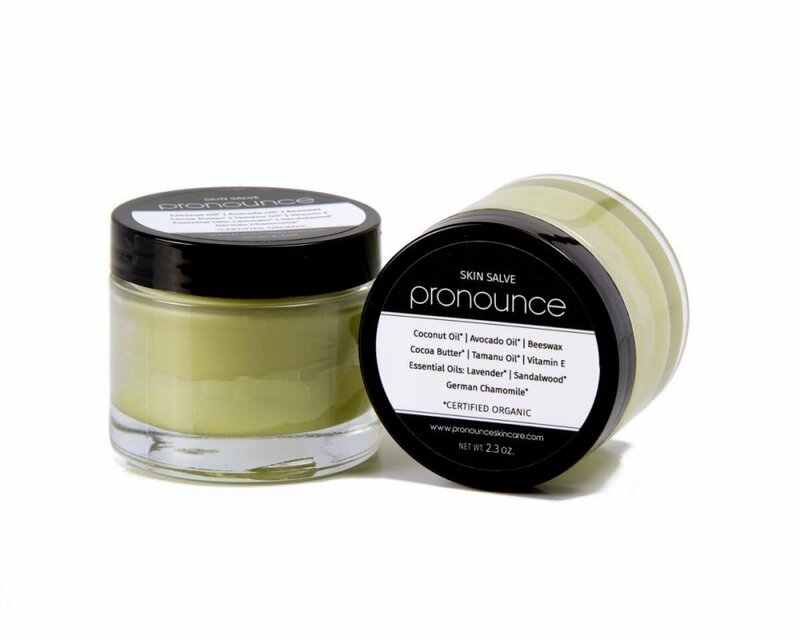 This salve doesn’t feel greasy or oily, just perfectly smooth. I don’t smell the essential oils, just the cocoa butter, but I’m OK with that. Will definitely buy again!! So far I have only used for 2 days. My feet are severely dry, cracked, and rough. I slathered some of this on both feet and put socks on before bed. After first night, did not see much difference but after second night, definitely noticed improvement and the top of my feet are so soft! Just placed am order to try some of the other products. Love this for pregnancy skin issues! I had originally bought this to try on my husbands hands, as he suffers from severely cracked fingers and while it worked pretty well for this (as long as I could get him to put it on and deal with the slightly greasy feeling for a bit until it soaked it) I have found that it works wonders on my dogs too! I have Golden Retrievers and have been putting this on their elbow callouses and it is AMAZING how much this has helped! I have one inparticular that during the dry months hers will sometimes crack and bleed and since I have been putting this on her – no more cracking! I was worried also about it being a little too greasy and mixing with their hair and making a mess – but as long as I apply it sparingly and only on the callous this is not an issue. Thank you and my dogs especially thank you!! Love this stuff use as a “boo boo” salve and for dry areas. Heals so quickly! A little goes a long way. Intense moisturizing . . . I use it on the rough areas, like feet and elbows and it works great. WOW this product is beyond what I imagined!! So great for dry skin. First product ever that actually does this and without any toxic chemicals. The skin salve is like a miracmiracle cracked heel repair cream. Within 2 days my badly cracked heels were smooth. The smell is a little bit strong but well worth it! I really do love this salve. It has helped with my cracked feet so much! And it smells wonderful! The price is steep though. This is probably the best product I’ve ever used! I started this product with new peticured feet and haven’t have any roughness, peeling or callused skin. I love it and will continue to buy! I love this skin salve. My hands get so dry in the winter that they are painful. This salve sinks into the skin and does not feel heavy or greasy at all. And the smell is heavenly! I would definitely order this again. The skin salve is AMAZING for healing up little scratches, shrinking zits overnight, and for times when I grab that hot pan 😉 Definitely keep this little jar on hand for kids, its a fantastic “boo-boo cream” and bug bite itchy reducer. Very nice, a bit greasy after application, but it works well! I was having problems with the skin on my finger peeling and dry. I tried every cream and lotion out there. No help. When I came upon this skin salve I figured that Kay as well try one more. Toy surprise after one application it not only looked better but felt better. I kept applying the salve and today you would not know that the finger was peeling. I use it all over. On dry elbows and patches of skin. This stuff truly works!! I can’t be without it!! Simple is good.